After performing as an actress and comedy improviser for many years, Jane fell into writing stories and plays. 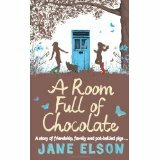 Her debut, A Room Full of Chocolate, was nominated for the Carnegie Medal and Peters Book of the Year 2014. 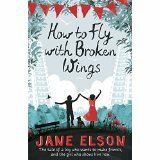 She is longlisted for the Branford Boase Award 2015. When she is not writing, Jane spends her time running creative writing and comedy improvisation workshops for children with special educational needs. Jane enjoys volunteering to work with the horses on Kentish Town City Farm. Find Jane on Twitter @JJElson35 or at www.aroomfullofwords.com.